Mandarin Oriental, an exclusive hotel in the center of Milan, will only accept innovative equipment of the highest level. For this reason, Mandarin Oriental chooses Electrolux Professional solutions to equip the four kitchens and internal laundry. A decade-long collaboration, the one between Electrolux and the Statuto Group, owner of the building that houses the Mandarin Oriental, renewed with each new opening. 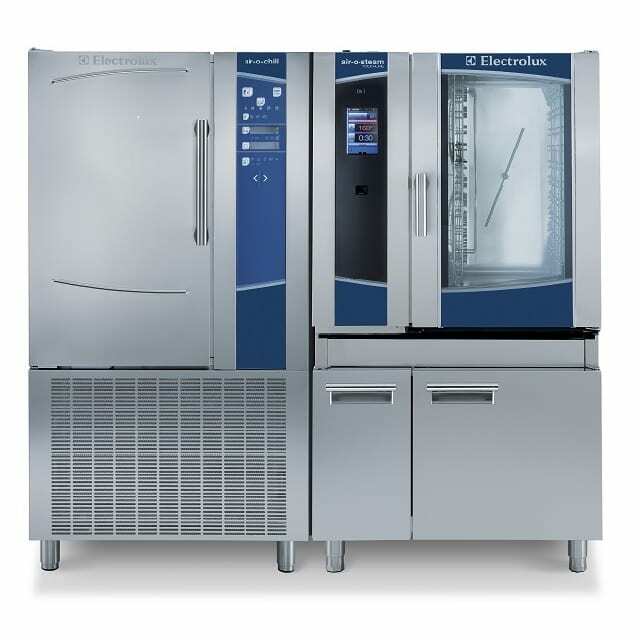 The Electrolux agency HOSTIMPIANTI Srl took care of this prestigious customer. Definitely a challenging project but of great satisfaction having seen the final result. For the kitchen of the Silk restaurant, Executive Chef Antonio Guida wanted the best in innovation, efficiency, safety and design features. The thermaline M2M Made to Measure satisfies all these characteristics. 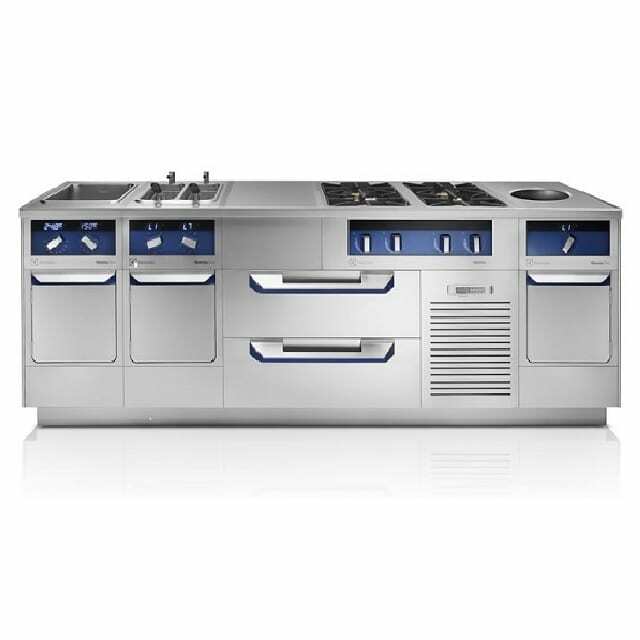 This cooking suite made in Switzerland and boasting the “Red Dot award 2014: Best of the Best” is unanimously recognized among the most prestigious in the industry. Another element that does not go unnoticed is definitely the plate warmer. A five and a half meter long heating structure, divided into two sections, which can be raised and lowered, if necessary. The kitchen covers 600 sqm, dedicated mainly to the room service. An area divided into several preparation areas and dedicated labs (meat, vegetables, fish, pasta, bread and pastry). In conclusion, the technology provided by Electrolux Professional contributes greatly to the organization making the daily activities easier. In addition, the Mandarin Oriental has selected Electrolux solutions also for its internal laundry. The goal is of always having impeccable staff uniforms and being able to offer their customers the highest quality washing. Mandarin Oriental chose the lagoon® solution because is the only wet cleaning system certified by “The Woolmark Company.” It is able to treat the most delicate and precious garments, from cashmere to silk. In conclusion, Mandarin Oriental chose solutions that allow considerable cost savings compared to outsourcing, direct quality control and safety of a reliable product.